YOU CAN BUY VICTOR MATURE'S COSTUMES!! YOU CAN OWN TWO FANTASTIC PIECES OF FILM MEMORABILIA FROM THE GOLDEN AGE OF HOLLYWOOD! 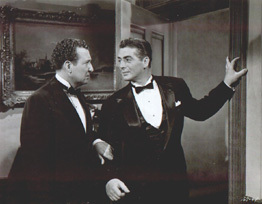 FOR SALE RIGHT NOW ARE THE NAVY TUXEDO PANTS THAT VICTOR WORE IN HIS HIT MOVIE WITH BETTY GRABLE "WABASH AVENUE". THE SECOND ITEM FOR SALE IS THE BLUE PANTS THAT HE WORE WHEN HE WAS FILMING "THREE LITTLE GIRLS IN BLUE" WITH JUNE HAVER. VICTOR BEGAN FILMING THE MOVIE BUT GEORGE MONTGOMERY LATER TOOK THIS ROLE. THESE COSTUMES WERE BOUGHT FROM AN AUCTION AT BUTTERFIELDS. THE PANTS HAVE ALL OF THE ORIGINAL TAGS AND SALE, AND AUCTION INFORMATION FROM THE BUTTERFIELDS AUCTION STILL ATTACHED TO THEM. VICTOR'S NAME AND THE DATES FROM THE FILM ARE ON THE LABELS INSIDE OF THE PANTS. THEY ARE REALLY NICE QUALITY CLOTHING - NOT LIKE THE TYPES OF CLOTHES THAT ARE MADE TODAY. THE BLUE TUXEDO PANTS (THE PANTS ON THE LEFT IN THE ABOVE PHOTO) FROM WABASH AVENUE ARE MADE OF WOOL AND ARE SIDE POCKET AND BUTTON FLY. THEY ARE A FANTASTIC PIECE OF HOLLYWOOD MEMORABILIA. THEY WOULD BE GREAT TO DISPLAY EITHER IN A MUSEUM OR IN YOUR HOME AS A RARE PIECE OF HOLLYWOOD HISTORY. 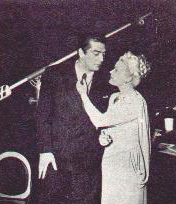 THE FIRST PHOTOGRAPH BELOW IS VIC WITH PHIL HARRIS FROM WABASH AVENUE WEARING THE TUXEDO PANTS IN THE SCENE WHEN HE WANTED TO ASK BETTY GRABLE TO MARRY HIM. YOU WILL ALSO RECEIVE THIS PHOTO WITH THE PURCHASE OF THE PANTS. INSIDE THE PANTS IT SAYS "PROPERTY OF 20TH CENTURY FOX STUDIO MEN'S WARDROBE DEPT." 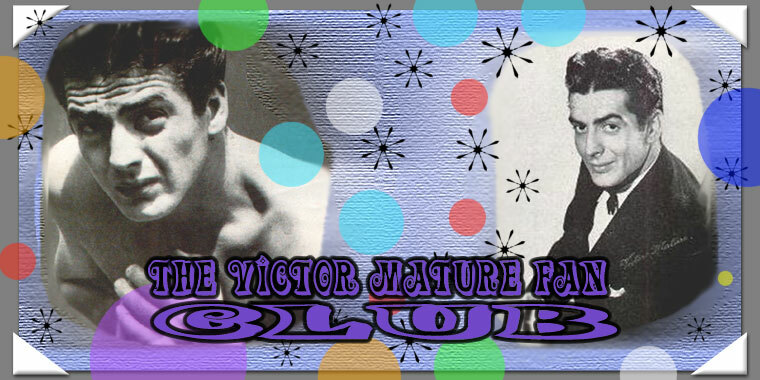 AND THE JOB, DATE, NAME, SIZE, MR. VICTOR MATURE, LENGTH, WIDTH, CH1 ETC. THE NUMBERS ON THE TAGS INSIDE CORRESPOND TO THE NUMBERS PRINTED IN WHITE INSIDE OF THE PANTS WITH THE 20TH CENTURY NAME. 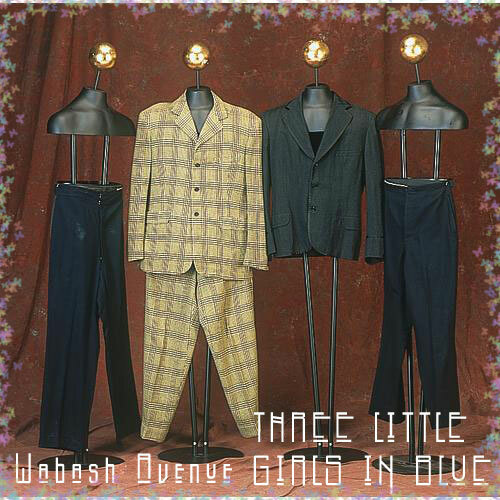 THE WABASH AVENUE PANTS ARE $175.00 AND THE SECOND PAIR OF PANTS ARE $175.00 - SHIPPING AND INSURANCE (IF YOU'D LIKE) ARE ADDITIONAL AND WILL BE DETERMINED AT THE END OF THE SALE. IF YOU ARE INTERESTED IN PURCHASING VICTOR'S COSTUMES PLEASE E-MAIL ME AT vmature@aol.com THANK YOU! THEY'RE REALLY GREAT MEMENTOS FROM THE GOLDEN AGE OF HOLLYWOOD!! !